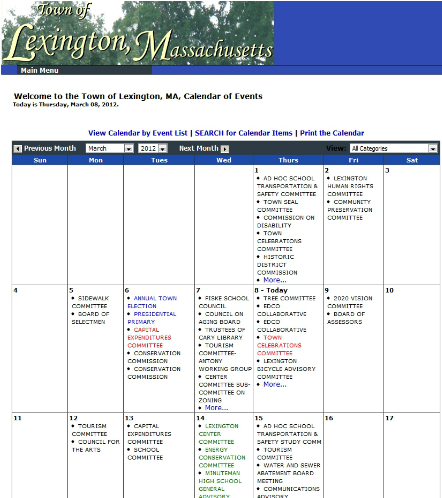 Calendars keep not only keep track of events, but they also serve as excellent ways to publicize meetings and events that are going to happen. 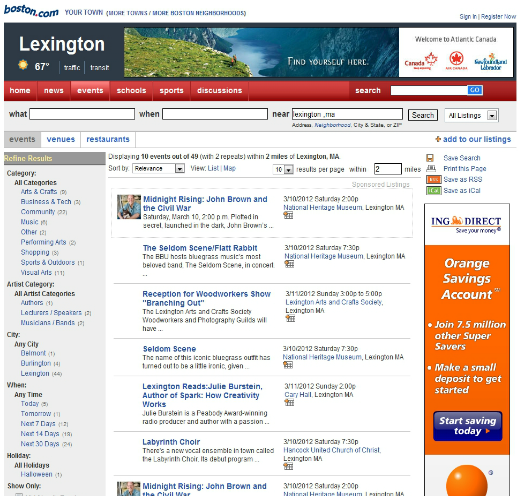 Lexington has an active set of Public Town Meetings, as well as many civic, artistic and social events. This is the official list of Government meetings as stipulated by the Massachusetts Open Meeting Law. 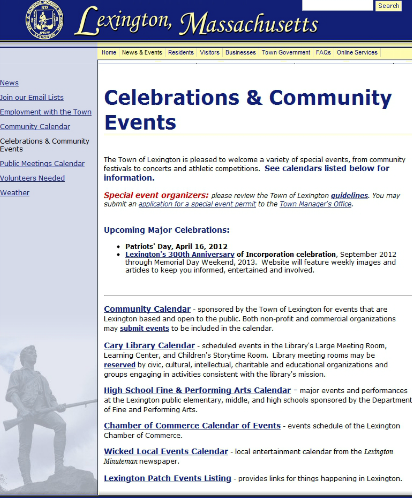 This is a collection of calendars assembled for the Town Website.